Season 22 of DWTS cast list is officially here! - CH Edwards, Inc. Season 22 of DWTS cast list is officially here! 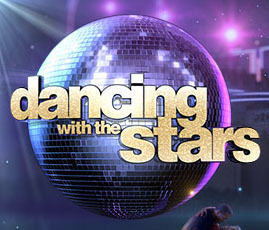 Get out your dancing shoes and get ready for a new season of ‘Dancing With the Stars’. This past Tuesday on “Good Morning America, the cast was revealed for season 22. This season will defiantly not lack comical moments, struggling times and achievements, which for one winning couple includes the Mirroball trophy. The season 22 cast is filled with professional dancers, athletes, TV personalities, journalists and actors, which when mixed together leads to a very entertaining outcome. The list of the twelve star couples starts with Mischa Barton. Mischa was previously on the wildly popular drama The O.C., now it is her time to put those days behind her as she takes the DWTS stage. She will be dancing with Artem Chigvintsev as her partner. Next up on this celebrity line up is Antonio Brown. This football star is not only a four-time Pro-Bowl selectee but he was also the Steelers MVP in 2011, 2013 and 2015. This pro athlete is ready to trade in his cleats for dancing shoes as he dances with Sharna Burgess. Next dancer up is Nyle Dimarco. Nyle is not only an actor, model but also a spokesman with a recurring role on ‘Switched at Birth’. He is trading his days of competing on the runway of America`s Next Top Model`s Cycle 22 in for sharing the dance floor with his partner Peta Murgatroyd. Next up on the list is Kim Fields who is an actress best known for her roles in two iconic shows which include Living Single and Facts Of Life. Along with being in front of the camera, she is also familiar with directing, as she is now an award-winning film director. This multi-talented star is ready to be in front of the camera again as she takes the stage with partner Sasha Farber. Doug Flutie is next on the list. This football champion is the winner of the 1984 Heisman Trophy for his iconic “Hail Mary” pass against the university of Miami, which led to the win of the Orange Bowl. He later on went to play in the USFL and the NFL, but now it`s his time to leave the field and take the dance floor. He will be accompanied by his partner Karina Smirnoff. The next contestant is used to singing and dancing on stage but in her case the Broadway stage. Along with her Broadway performances in The Will Rogers Follies and Love, Loss and What I Wore, she is also no stranger to the television and film world. She is ready to expand her talent on the DWTS stage with partner Tony Dovolani. And that’s only half the list! The second half of the list starts off with another football star, Von Miller. He might be known now as the Denver Broncos linebacker and MVP of Super Bowl 50 but this season he`ll be known on the dance floor with his partner Witney Carson. The next celebrity on the list is Wayna Morris whose rise to fame came from being an original member of the R&B group Boys II Men. Wanya will be taking the dance floor with partner Lindsay Arnold. This next celebrity is an Emmy and Peabody Award-winning journalist. Geraldo Rivera is a Fox News senior correspondent and host of breaking news specials the Geraldo Rivera Reports. He is anxious for his shot at the Mirrorball trophy with partner Edyta Sliwinska. For the next contestant the house is about to get more full with Jodie Sweetin. She is formerly known for her role as Stephanie Tanner on Full House and now the Netflix spin-off of Fuller House. She is joined on the dance floor with her partner Keo Motsepe. The next contestant Paige VanZant has a stunning record of 6-2-0 in her UFC career. This top ranked champion is about take it back to the dance floor as she did in her younger days with partner Mark Ballas. The last contestant of this star filled list is Ginger Zee. Ginger is an Emmy Award-winner and also the chief meteorologist of Good Morning America. Now it is time to see what her dancing forecast will be as she takes the floor with partner Valentin Chmerkovskiy. This season will be hosted by the Emmy-winning Tom Bergeron of America`s Funniest Home Videos. Season 10 finalist, Erin Andrews will also be coming back but this time as a host. From talented professional dancers to celebrities and two fantastic hosts, the competition would not be complete without judges. The Season 22 judges include Len Goodman, Carrie Ann Inaba and Bruno Tonioli. This highly anticipated season will air on Monday, March 21st at 8|7c. Who are you rooting for this season?